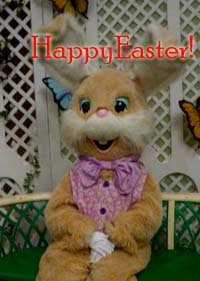 Internet Goodie #23: Happy Easter Greeting Card – Happily After Retirement! Easter Bunny wishes you a Happy Day! Take a moment and send someone a Happy Easter card! Sometimes it’s nice to get a virtual card with a personal message inside. They are whimsical and sweet ; easy to send and lovely to receive. Here’s a link to Easter Greetings Card from 123 Greetings or this one from Blue Mountain. What’s not to love about Lent? Thanks! Do you have anything special going on today? 🙂 careful what you ask for…. sent you one and Happy Easter back atchoo, too! Thanks! What are you doing for Easter? Any special plans? It snowed here yesterday but I think today will be sunny again!